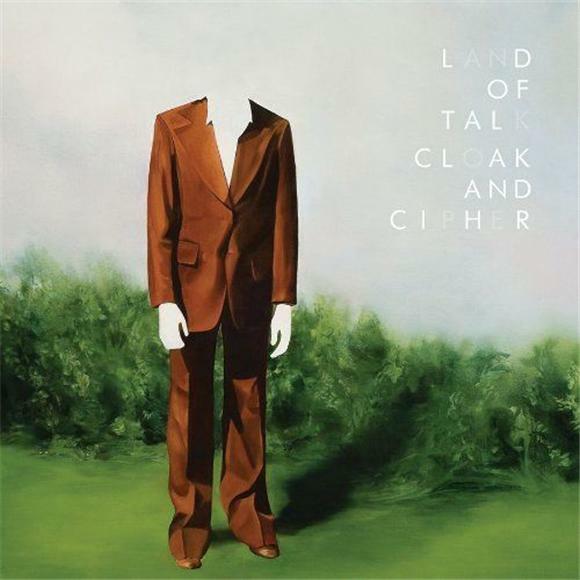 Land of Talk has always sounded like they could be the impressive garage band of that one swoon-worthy girl from your English class. But a thorough listen to Cloak and Cipher, the Montreal trio's ambitious third release, reveals that these guys wont stay the best kept secret on the block for long. Previous release Some Are Lakes was the perfect dreamy teen movie soundtrack, from anthemic rocking out on the title track to the floating melancholy of "It's Okay", which somehow made the lament "maybe when I die I'll be a car" sound profound. Just like their previous album, this one is tidy, clocking in at 10 tracks. The songs are simple in form but expansive in scope, channeling Canadian bombast-masters Broken Social Scene, who Land of Talk has toured with, as well as Arcade Fire and Stars, members of which helped out on this album. Whether affected by outside influence or inner growth, the songs on Cloak and Cipher are a conceptual and technical evolution from earlier albums, playing with denser structures, surprising progressions and breakdowns, and a tighter, better produced sound. Elizabeth Powell, the band's singer and chief songwriter, gets a chance to really stand out on this album. Her husky voice lures you in, colors catchy choruses and accessible pop hooks, and conveys genuine emotion. While the talent and strength in her singing is definitely clear, the lyrics often aren't, which is a shame since they're actually quite good. The album is perfect for thoughtful late-summer drives, which makes it frustrating when you can't sing along. Sidestepping the top-heavy pitfall that plagues many early releases, Cloak and Cipher gets interesting around the middle, transitioning from pretty but predictable indie rock songs such as "Goaltime Exposure" and charming "Quarry Hymns" to more experimental tracks. The breakout beauty in Powell's voice is showcased on the emotional ballad "Color Me Badd", and "The Hate I Won't Commit" is lurchy with disparate riffs and Pavement-like meandering interludes.